In the health care industry, good news travels fast, and there is plenty of good news for Tri-State Memorial Hospital and Spokane Roofing Company. Spokane Roofing recently completed a commercial re-roofing project at Tri-State Hospital in Clarkston, WA. Board of Directors President Rick Wasem knew firsthand about the high quality of SRC’s work. A year earlier, Spokane Roofing had retrofit Wasem’s Pharmacy’s metal roof with a TPO membrane roofing system. Before accepting Spokane Roofing’s bid, Tri-State representatives inspected SRC’s work at Wasem’s. It was due diligence that Jeff Sitton welcomed, because he runs Spokane Roofing the same way. Tri-State had some issues with a previous roof. As a result, they were looking for a reliable, professional, commercial roofing contractor, said Sitton. When SRC bids any roofing project, we always provide a fair and competitive bid. When business owners ask around, they know what they are getting from us. SRC is state of the art in every way. Ongoing training and top-of-the-line equipment are a big part of our success. The quality of our workmanship is a team effort. I have crews checking crews and leaders checking those crews to maintain quality. The size of the job does not matter; our procedures are standardized, with no variables. Job shacks on the roof, daily cleanup, every tool returned to its place: those are all part of our policy and procedures model. If you work for Spokane Roofing, you have to care about what you do. There are no exceptions. My roofers take pictures of their work every day. They do not just work this, they live it. 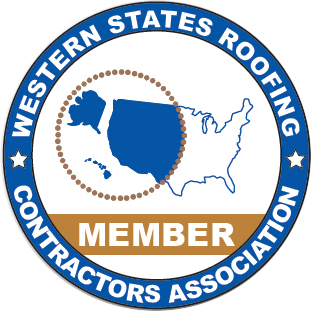 We strive to make every commercial roof a masterpiece, because that is what building owners and managers want. At Tri-State, Sitton’s crews first removed outdated Hypalon® roofing before installing polyiso rigid insulation and VersiWeld® reinforced TPO single-ply roofing system manufactured by Versico/Carlisle. In the process, SRC added four inches to the height of the roof. This required adjustments to rooftop ventilation systems, plumbing and electrical components. Details are especially important with a TPO membrane roof. It is not as simple as just screwing new membranes to the roof deck. Everything has to be heat-welded with a welding robot or hot-air gun, including flashings around penetrations and curves. It requires constant attention to detail. The property manager at Tri-State Memorial Hospital and Medical Center in the Lewiston-Clarkston Valley was a real professional. He knew it was best to replace an aging roof before it leaked. Proactively replacing Tri-State’s roof saved $10,000’s in water damage and lengthy business disruptions. Call Spokane Roofing today at (509) 838-8633 for a free estimate to replace your aging commercial roof.